Ed Lee, who was appointed Mayor of San Francisco in 2011 following Gavin Newsom's election as Lieutenant Governor of California, elected to a full term in 2011, and reelected in 2015, died of cardiac arrest on December 12, 2017. London Breed, the president of the San Francisco Board of Supervisors, became the city's acting mayor. On January 23, 2018, the board of supervisors selected Mark Farrell to serve as interim mayor until the special election could be held. Citing Ron Conway's role as a benefactor to Breed, Supervisors Aaron Peskin and Jane Kim, considered the progressive members of the board, sought to deny Breed the benefits of incumbency going into the election. As San Francisco elections use ranked choice voting, Kim and Mark Leno chose to align with each other, each endorsing the other as their preferred second choice. The filing deadline was 5 p.m. on January 9, 2018. The following eight candidates qualified for the ballot by filing all nomination documents and paying the filing fee. The deadline for a candidate to drop out of the race and remove himself or herself from the ballot was January 30, 2018. First-place votes counted on election night had Breed leading with 35.6 percent, Leno in second with 25.9 percent, and Kim with 22.8 percent. As candidates began to be eliminated, Leno took the lead the next day. He maintained a small lead during the week. On June 9, Breed took the lead over Leno. On June 13, with only 8,000 ballots left to count, Leno conceded defeat and congratulated Breed on her victory. The following table shows a summary of the instant runoff for the election. The table shows the round in which the candidate was defeated or elected the winner, the votes for the candidate in that round, and what share those votes were of all votes counting for any candidate in that round. There is also a bar graph showing those votes for each candidate and categorized as either first-round votes or votes that were transferred from another candidate. The following table shows how votes were counted in a series of rounds of instant runoffs. Each voter could mark which candidates were the voter's first, second, and third choice. Each voter had one vote, but could mark three choices for how that vote can be counted. In each round, the vote is counted for the most preferred candidate that has not yet been eliminated. Then one or more candidates with the fewest votes are eliminated. Votes that counted for an eliminated candidate are transferred to the voter's next most preferred candidate that has not yet been eliminated. Continuing votes are votes that counted for a candidate in that round. Exhausted ballots represent votes that could not be transferred because a less preferred candidate was not marked on the ballot. Voters were allowed to mark only three choices because of voting system limitations. Over votes are votes that could not be counted for a candidate because more than one candidate was marked for a choice that was ready to be counted. Under votes are ballots were left blank or that only marked a choice for a write-in candidate that had not qualified as a write-in candidate. ^ Fuller, Thomas (May 30, 2018). "San Francisco's Homeless Crisis Tests Mayoral Candidates' Liberal Ideals". New York Times. Retrieved June 12, 2018. 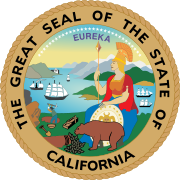 ^ "No Party Preference Information | California Secretary of State". California Secretary of State. Retrieved June 12, 2018. ^ Fracassa, Dominic (June 13, 2018). "Mark Leno concedes SF mayor's race to London Breed". San Francisco Chronicle. Retrieved June 13, 2018. ^ Swan, Rachel; Sernoffsky, Evan (December 12, 2017). "San Francisco Mayor Ed Lee dead at 65". San Francisco Chronicle. Archived from the original on December 12, 2017. Retrieved December 12, 2017. ^ Bulwa, Demian. "San Francisco Mayor Ed Lee dead at 65". SFGate. Retrieved December 12, 2017. ^ "Rules dictate how SF's next mayor may be chosen and how long they may serve". San Francisco Chronicle. December 12, 2017. Retrieved December 12, 2017. ^ Shafer, Scott (January 23, 2018). "Political Uproar as Mark Farrell Replaces London Breed as S.F. Mayor". KQED. ^ Fagone, Jason (January 28, 2018). "London Breed's sudden, short term as SF's acting mayor". San Francisco Chronicle. ^ Melendez, Lyanne (May 10, 2018). "San Francisco mayoral candidates form alliance in odd turn". abc7news.com. Retrieved June 13, 2018. ^ a b Phil Matier and Andy Ross, Curtain rises on SF's next drama, and the star is London Breed, San Francisco Chronicle (December 17, 2017). ^ a b c d e f g h Potential Candidates List - June 5, 2018 Election, City and County of San Francisco Department of Elections. ^ a b Janie Har, San Francisco mayor's race draws big names, crowded field, Associated Press (January 9, 2018). ^ Joe Fitzgerald Rodriguez, Political veteran Angela Alioto pulls papers to run for SF mayor, San Francisco Examiner (December 18, 2017). ^ , KTVUFOX2 (April 23, 2018). ^ Julie LIttman,,Bisnow(May 15, 2018). ^ Dominic Fracassa and Rachel Swan, London Breed says she’s in the race for SF mayor, San Francisco Chronicle (January 5, 2018). ^ a b c d Dominic Fracassa, Supervisors Breed and Kim in race for SF mayor for real now; Herrera out (January 9, 2018). ^ Ida Mojadad, Jane Kim Announces Run for Mayor, SF Weekly (December 20, 2017). ^ a b Rachel Swan, Mark Leno first major candidate to enter 2018 mayor's race, San Francisco Chronicle (December 15, 2017). ^ a b Rachel Swan, David Chiu and Carmen Chu both out of race for SF mayor, San Francisco Chronicle. ^ Joshua Sabatini, Assessor-Recorder Carmen Chu decides not to run for SF mayor, San Francisco Examiner (January 8, 2018). ^ Joshua Sabatini, Supervisor Mark Farrell announces he will not run for SF mayor, San Francisco Examiner (December 21, 2017). ^ Rachel Swan, SF City Attorney Dennis Herrera signals intention to run for mayor in June, San Francisco Chronicle (January 3, 2017). ^ Joe Eskenazi, SF police union endorsement of Angela Alioto is crazy, but it also makes sense, Mission Local (April 3, 2018). ^ "Our Revolution Endorses Jane Kim for Mayor of San Francisco". Our Revolution. ^ The People for Bernie Sanders [@People4Bernie] (January 10, 2018). "Jane Kim has been on the front lines in struggle with the 99% for the entire time she has been activist and elected official. We love her" (Tweet). Retrieved January 10, 2018 – via Twitter. ^ Roberts, Chris (February 27, 2018). "YIMBY-er than thou: Picking the San Francisco mayoral candidates on housing". Curbed SF. Vox Media. ^ Rodriguez, Joe Fitzgerald (January 31, 2018). "New campaign committee backing London Breed in mayor's race won't accept Ron Conway money". San Francisco Examiner. ^ a b "Our Endorsements: SF's June 5, 2018 Elections - San Francisco Bicycle Coalition". San Francisco Bicycle Coalition. ^ a b "Endorsements for June 5, 2018". Harvey Milk LGBTQ Democratic Club. ^ a b Dominic Fracassa & Rachel Swan, SF mayoral candidate Breed rips rivals Leno, Alioto for being "nasty", San Francisco Chronicle (March 29, 2018). ^ a b "Hear Why SFDSA Endorses #1 Jane Kim for Mayor & Mark Leno #2 - San Francisco Deputy Sheriffs' Association". San Francisco Deputy Sheriffs' Association. May 9, 2018. ^ "PORAC - Peace Officers Research Association of California". PORAC. ^ a b c Redmond, Tim. "Campaign trail: Kim gets progressive endorsements, Breed wants Tasers". 48hills. San Francisco Progressive Media Center. ^ Joe Fitzgerald Rodriguez, Historic San Francisco LGBT group takes a pass on endorsing gay-marriage trailblazer Gavin Newsom, San Francisco Examiner (March 17, 2018). ^ a b c d Matthew S. Bajko, Political Notebook: Leno secures LGBT backing in SF mayor's race, Bay Area Reporter (March 8, 2018). ^ a b Dominic Fracassa, In SF mayor’s race, Breed gets Wiener's endorsement, but Leno has it too, San Francisco Chronicle (April 2, 2018). ^ a b c d Swan, Rachel (December 14, 2017). "Concerns raised over Breed serving as both SF mayor, supervisor". San Francisco Chronicle. Retrieved January 4, 2018. ^ Nuala Sawyer, Breed Wins Firefighter Union's Support For Mayoral Run, SF Weekly (February 19, 2018). ^ Chronicle Editorial Board, Editorial: Chronicle Recommends: London Breed for San Francisco Mayor, San Francisco Chronicle (April 12, 2018). ^ "Endorsements - YIMBY Action". yimbyaction.org. Retrieved April 16, 2018. ^ Laura Waxmann, California Assemblymember David Chiu endorses London Breed for mayor, San Francisco Examiner (March 10, 2018). ^ Joe Fitzgerald Rodriguez, Angela Alioto parts ways with mayoral campaign consultants, San Francisco Examiner (March 8, 2018). ^ "SF Mayor Farrell could get to stay in office for a few extra weeks". San Francisco Chronicle. May 6, 2018. Retrieved May 6, 2018. ^ "Ranked-choice voting could come into play in SF mayor's race". San Francisco Chronicle. April 15, 2018. Retrieved April 22, 2018. ^ "Jane Kim surging in SF mayor's race while Mark Leno fades, new poll shows". San Francisco Chronicle. March 11, 2018. Retrieved March 11, 2018. ^ Matier & Ross, Labor looking for a front-runner in SF mayor's race, San Francisco Chronicle (January 16, 2018). ^ Matier, Phil; Ross, Andy (January 2, 2018). "Leno, Breed top the field in first poll of SF mayoral election". San Francisco Chronicle. Retrieved January 4, 2018. ^ First: David Chiu* 11%, Dennis Herrera* 10%, Carmen Chu* 5%. *Hypothetical candidate. ^ "SF mayor's race: Ranked choice puts Mark Leno in lead over London Breed". San Francisco Chronicle. ^ "SF mayor's race: Mark Leno retains slight lead over London Breed — 144 votes". San Francisco Chronicle. ^ "As Breed regains slim lead, mayoral cliffhanger echoes Oakland's 2010 race". San Francisco Chronicle. ^ "June 5, 2018 Election Results - Detailed Reports". San Francisco Department of Elections. ^ Melendez, Lyanne. "Mark Leno concedes after close San Francisco mayor's race". abc7news.com. Retrieved June 13, 2018. ^ Name (required) (June 13, 2018). "Sources: Mark Leno To Concede In San Francisco Mayor's Race « CBS San Francisco". Sanfrancisco.cbslocal.com. Retrieved June 13, 2018. ^ a b "June 5, 2018 Election Results - Detailed Reports - Department of Elections". sfelections.sfgov.org.